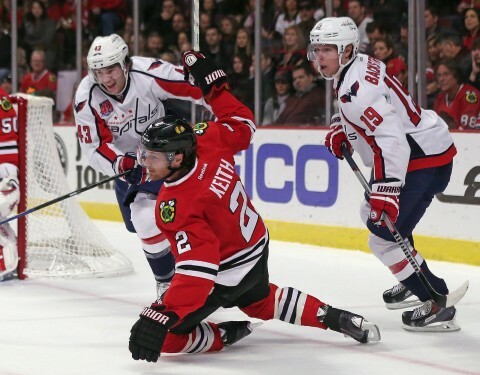 The Washington Capitals defeated the Chicago Blackhawks 3-2 in overtime Friday. With the win, Washington ended Chicago’s seven-game win streak. 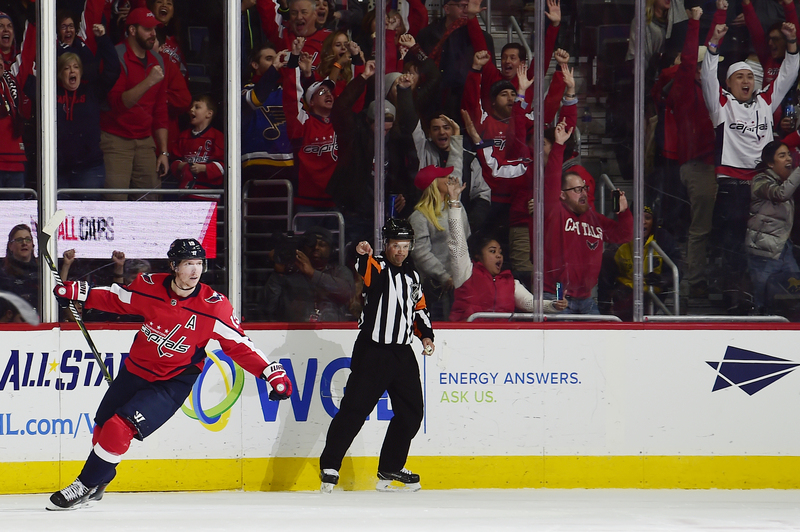 Capitals forward Marcus Johansson scored the game-winning goal 2:20 into overtime. Johansson’s goal stemmed from a three-on-two breakaway in the Capitals’ favor. During the break, Washington forward T.J. Oshie fell and Chicago forward Vinnie Hinostroza tripped over him. 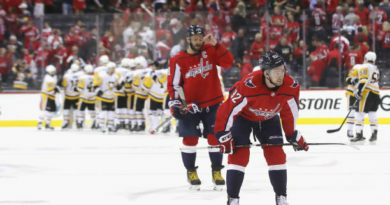 The collision cleared a path for a pass to Capitals defenseman Dmitry Orlov who returned the puck to Johansson for the assist on the game-winning goal. Johansson’s score tied him with Washington forward Alex Ovechkin for the team lead in goals with seven. The goal earned Johansson his team-leading 12th point of the season. When the Capitals led 2-1 with 2:07 remaining in the third period, Blackhawks head coach Joel Quenneville pulled his goalie, Corey Crawford, to add another forward to the ice. The move was successful for Quenneville, as Chicago forward Marian Hossa netted the game-tying goal with 23 seconds remaining in regulation. Chicago defenseman Duncan Keith passed the puck to forward Artemi Panarin who took a slap shot that Hossa deflected in for the equalizer. Keith and Hossa earned assists on the goal. Capitals forward Jay Beagle scored two goals on the night. Beagle scored the game’s first goal 6:17 into the first period while Washington played short-handed. Chicago tied the game 22 second later with a power play goal from defenseman Brian Campbell. Beagle countered with 5:16 remaining in the first frame. His second goal of the game was a wraparound shot from behind the net that put Washington up 2-1. “When you’re playing top-tier teams, you need depth to really come out,” Oshie explained of the lower lines’ activity in the game, per The Washington Post. The Capitals improved to 9-3-1 but remained in third place in the Metropolitan Division. Although the loss dropped Chicago’s record to 10-3-2, they still hold first place in the Central Division. Washington heads to Carolina to face the Hurricanes Saturday night. The Blackhawks continue their two-game home stand Sunday evening against the Montreal Canadiens.